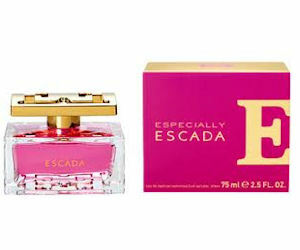 Try a free sample of your choice of Escada fragrances. Escada is giving away free samples of Especially Escada and Taj Sunset. It is usually a postcard sized scent card, just enough to let you know what the fragrance smells like. Some put them into their clothing drawers to gently scent their clothes. NOTE: US and UK users can only request Especially Escada. NOTE: It seems to work best in IE, make sure you have filled in the second address line and scroll to the very bottom of the page for the "Send" link on the right hand side.